Years before Downton Abbey Hugh Bonneville started in another period drama. Now, The Cazalets arrives on DVD. 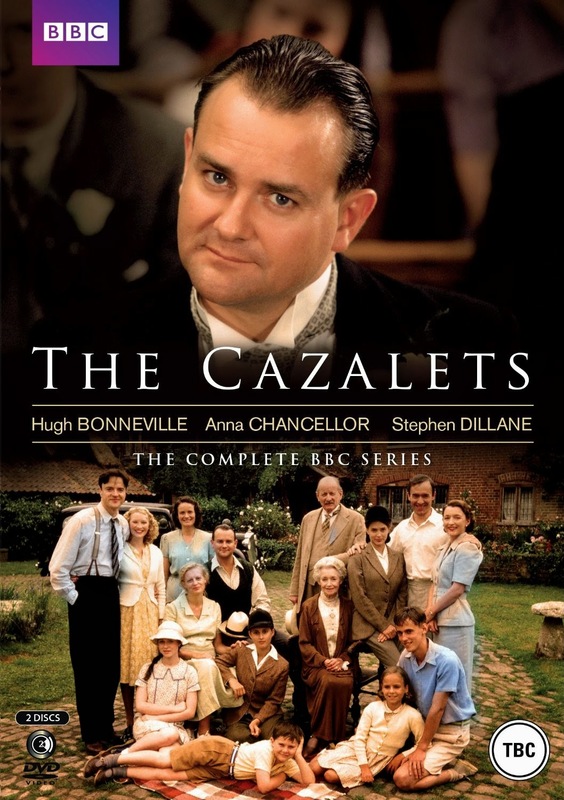 First shown on the BBC in 2001 and Based on the best-selling novels by Elizabeth Jane Howard, The Cazalets follows the lives of a large, privileged family transformed by the outbreak of World War II. As storm clouds gather over Europe, the family's three generations retreat to their country estate where the trials and tribulations of life play out against the backdrop of war. Births, deaths, marriages, secrets and intrigue test their stoic British restraint and resilience to the limit, as both the country and the family are fractured by the horrors of the escalating conflict. The highly-acclaimed BBC adaptation is a gripping and poignant portrayal of one family's life during wartime Britain. The series also stars a young Joanna Page from who went on to find success as Stacey in BBC Three's much loved comedy Gavin & Stacey and Anna Chancellor. The Cazalets is now available on DVD.